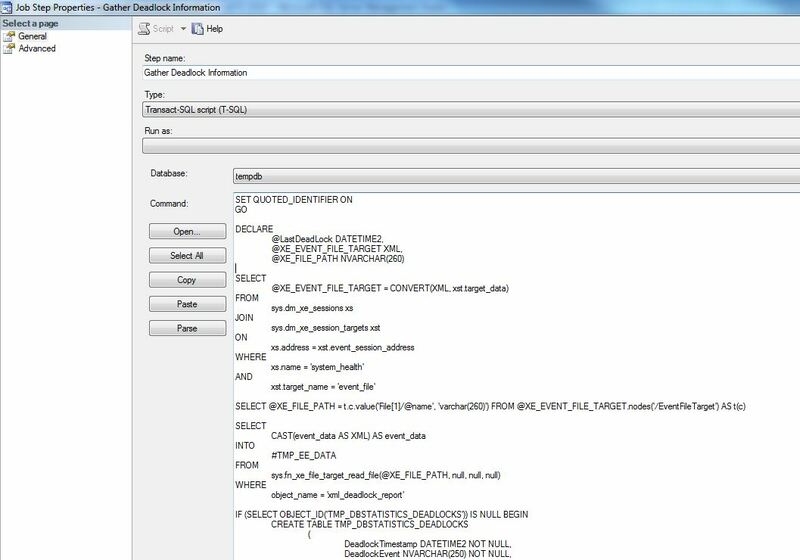 Traditionally, trace flags 1204 or 1222 are used to write information about deadlock events to the SQL Server log. 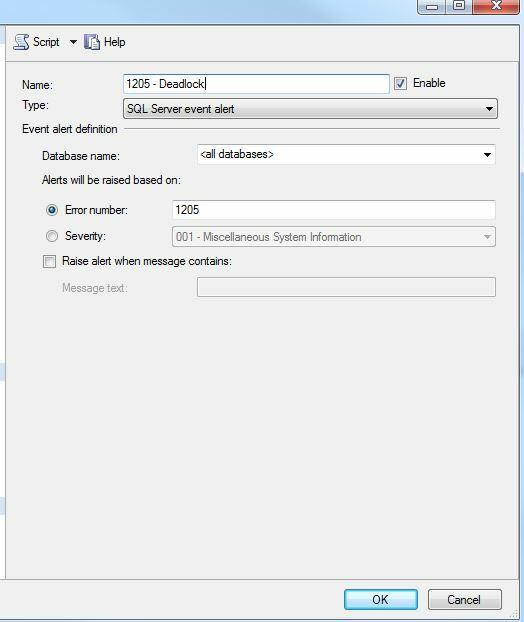 But since SQL Server 2012, there is a default Extended Event session running called system_health that can be used instead. Extended events are stored as XML, and in this post I’ll show a method to extract information when a deadlock occurs and store it in a regular table. By having the deadlocks stored in a table, it is possible to view the history of deadlocks in order to enhance deadlock investigations. First, if you are unsure about the mechanisms behind deadlocks, check out my blog post Deadlock Basics. There you will find instructions of how to create a deadlock situation on your own. Next, create a deadlock event by following the instructions here. The method described above can be very useful to investigate on recent deadlock events. But if you want to store the event to keep a history of deadlock events, a bit more work is required. Remember that the extended events sessions only keep data for a limited time period. On a busy system with many events the information can be pushed out from the session targets rather quickly. So. 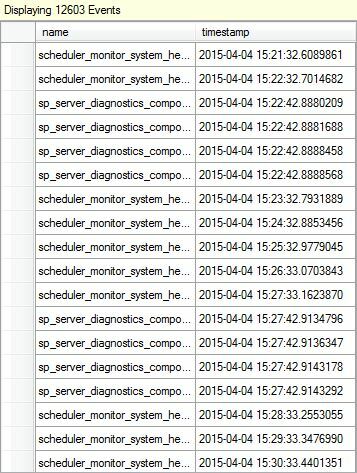 The complete script to store all deadlock events in the system_health target file could look like this. I have added a table to store the information and a variable to only read the latest events. I run this in tempdb, that’s why I check for the existence of the table TLind_DEADLOCKS. But if you run it in tempdb, remember to extract the information and store it in a more permanent storage. Or if you prefer, run it in another database. Next you’ll need to make sure SQL Server Alerting is set up correctly. Here you can find more information on how to do that. On the Options tab I suggest that you enter a value for “Delay between responses” to at least 30 seconds. 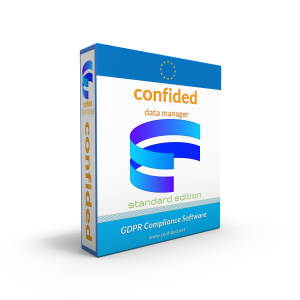 This is to prevent the job from running too often on a system that experiences many deadlocks. Added columns so that waittime, ownerId and currentdb are extracted as well. I wa stuck with referencing positional element. And, needed http://xmltoolbox.appspot.com/xpath_generator.html and your blog post to bail me out. My working XPATH is ‘/event[@name=”xml_deadlock_report”]/data[@name=”xml_report”]/value/deadlock’. Also converted to local time as things are stored in UTC/GMT.